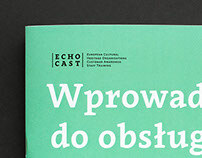 "Autism is a pervasive developmental disorder. 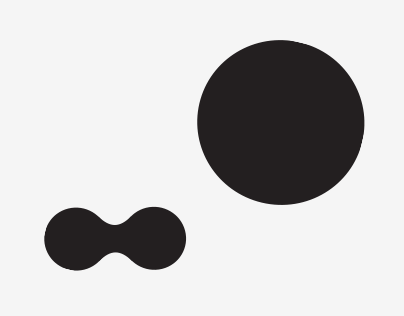 This means that autistic children exhibit symptoms of malfunctioning in all areas of development" – according to the definition of autism provided by the Synapsis foundation. 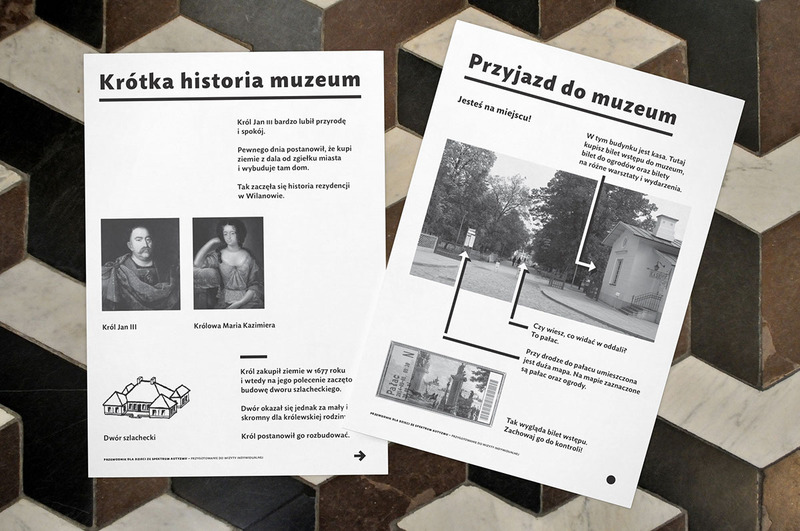 In 2014, the Museum of King Jan III’s Palace asked our studio to prepare a guidebook to the museum designed especially for individuals with autism. Before setting to work we decided to discuss our ideas with experts who work with individuals on the autistic spectrum on a daily basis and thus have extended knowledge on how such individuals might perceive images and signs. 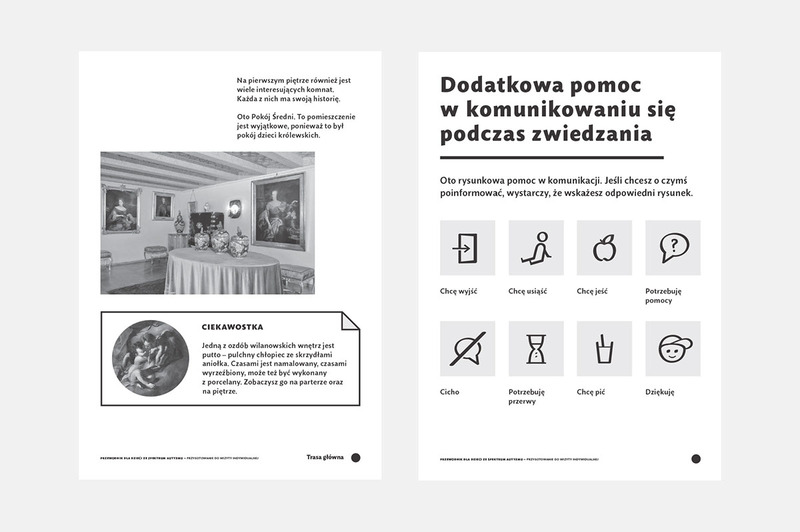 We then analysed the information we had gathered and translated it into visual communication. 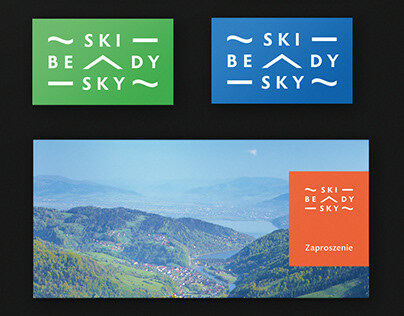 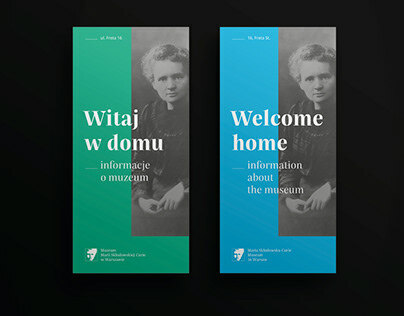 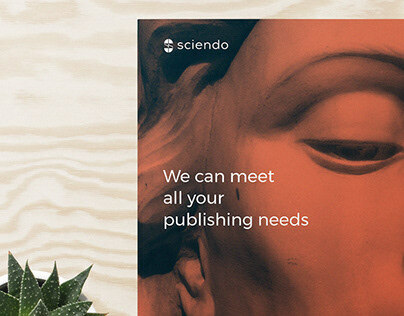 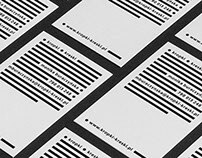 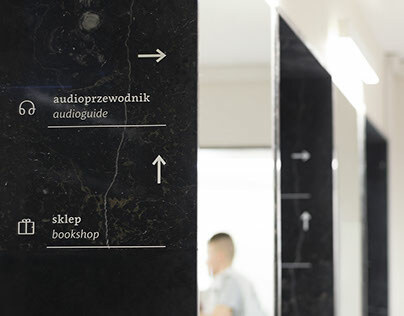 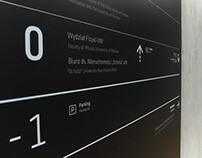 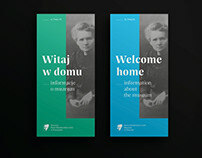 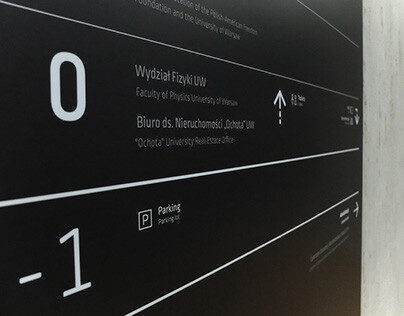 The style of all materials for visitors, from the wayfinding system to educational materials, has been designed based on the Clavo and Lelum typefaces created by Michał Jarociński from Dada Studio. 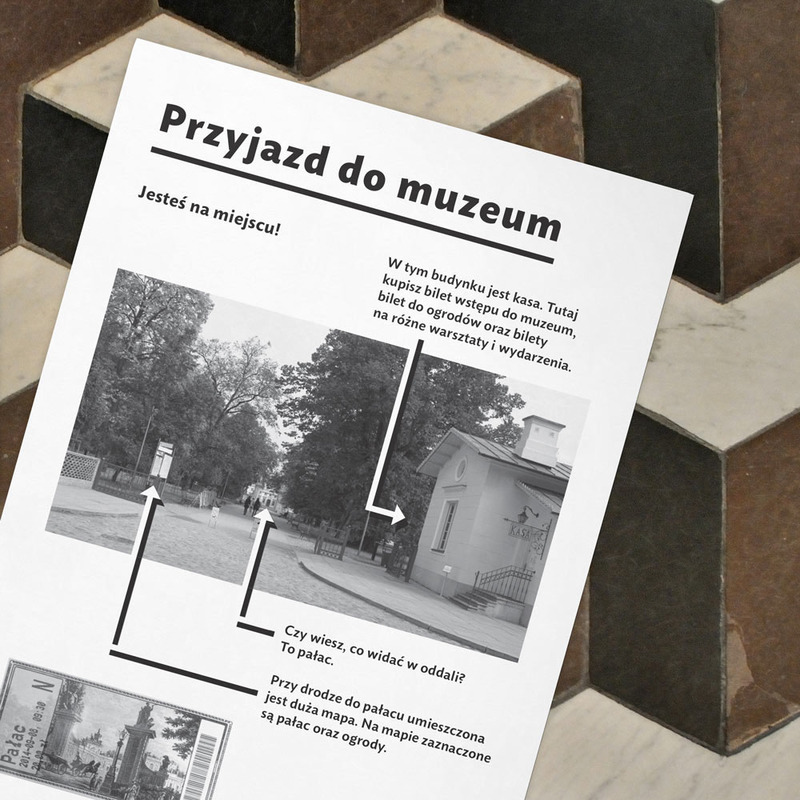 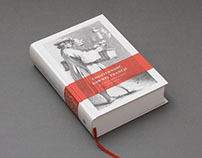 The guidebook can be downloaded and printed out from the Museum’s website. Parents of autistic children may also receive assistance from the museum staff, who have undergone a special training in educational classes for persons with autism.